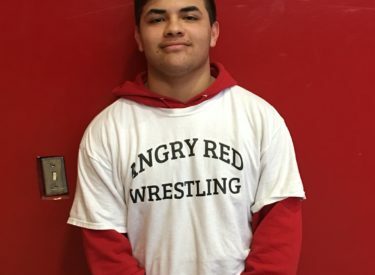 Liberal senior wrestler Jose Aguilera is the Hay Rice and Associates Athlete of the Week. Aguilera is 7-4 this season. Three of his four losses have come against wrestlers who competed at state last year. Aguilera placed third at Pratt, third at Colby, and second at Tucumcari. He was a linebacker on the football team this fall. Aguilera and the Redskins will next wrestle at home with Hays January 3.